The newly announced Pioneer DDJ-SX2 is on hand at the 2014 DJ Expo in Atlantic City and DJ Flip from the Pioneer Crew gave us a quick walkthrough of the updates to show us the new improvements. 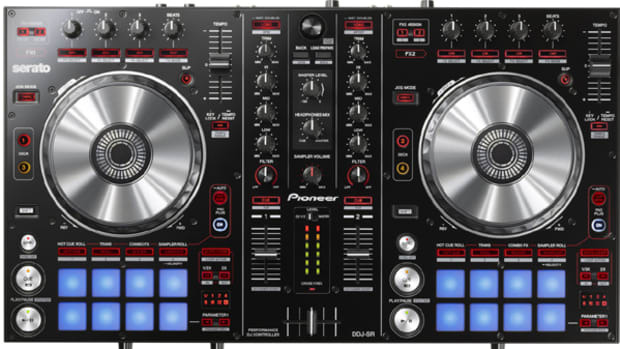 The new Pioneer DDJ-SX2 inherits all of the features of the original and adds multi-color RGB backlit Performance pads, hotcue markers on the jog wheel display, Serato Flip controls, and it is Serato DJ DVS compatible right out of the box. We&apos;ll definitely get the DDJ-SX2 (after the DDJ-SZ review is complete) for full review with the new Serato DJ 1.7 software within the next few months. Stay Tuned for more Atlantic City DJ Expo coverage! Pioneer DJ has announced that there is a brand new Serato DJ controller coming out next month called the Pioneer DDJ-SX2. The DDJ-SX2 is a new version of the ever-popular DDJ-SX which we reviewed when it was released almost two years ago. 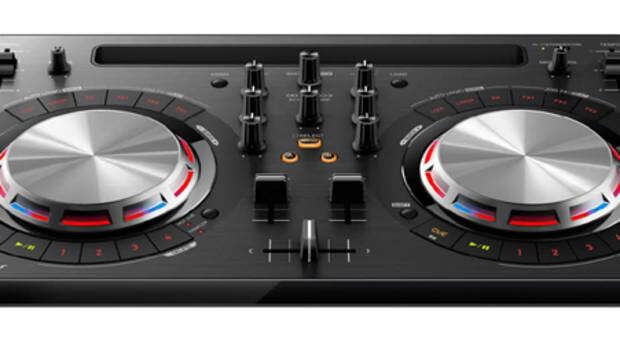 The new Pioneer DDJ-SX2 inherits all of the features of the original and adds multi-color RGB backlit Performance pads, hotcue markers on the jog wheel display, Serato Flip controls, and it is Serato DJ DVS compatible right out of the box. Pioneer has just released the third iteration in their entry-level DJ controller called the Pioneer DDJ-WeGO3. Long ago, we reviewed the original DDJ-WeGO and it was a great controller for any new DJ and it had versatility to work with many different software. The DDJ-WeGO3 continues where the original left off with a new sleeker design, stronger construction, and an included iOS lightning cable that also charges the iOS device while in use. Check out the new Serato DJ Intro performance video with the DDJ-WeGO3. [Video] Pioneer DDJ-S1 Now With Serato DJ! The Pioneer DDJ-S1 was released back in 2011 and was designed to work with perfectly Serato Itch. We reviewed the controller and found it to be a great DJ control surface for Serato software DJ's. Now that Serato Itch software has been replaced by Serato DJ with a better layout and new features, the DDJ-S1 owners can now reap the benefits by downloading the new firmware and Free Serato DJ upgrade to get the full use out of their controller. Check out the full press release, download links, our video review, and the new Serato DJ/DDJ-S1 performance video after the jump. 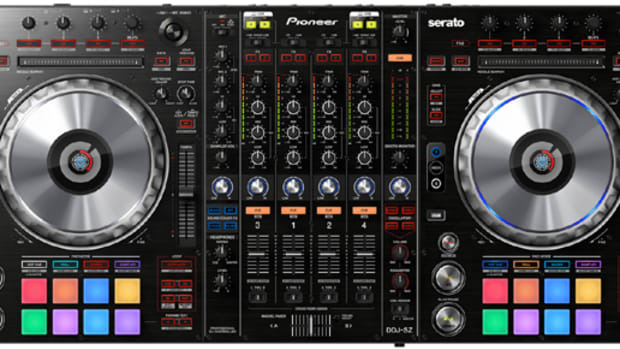 Pioneer DJ is steadily rolling out brand new products that work in perfect harmony with the new Serato DJ Software. Last week they unveiled the new Pioneer DJM-900SRT and the DDJ-SP1 that will work with the new Serato DJ 1.5.0 update and today they announced the new DDJ-SR which is a 2-channel Digital DJ controller that also controls the Serato DJ software. 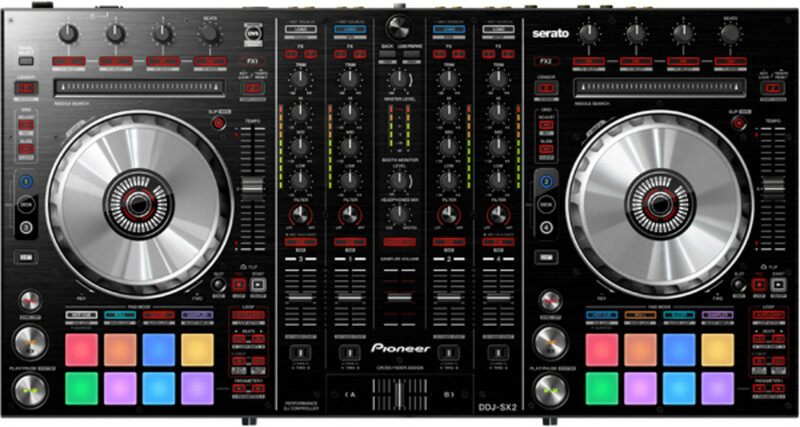 The Pioneer DDJ-SR is essentially a trimmed down two-deck version of the DDJ-SX which controls four decks of Serato DJ. The new DDJ-SR is more compact than the DDJ-SX and adds a new PAD PLUS button that gives the 16-performance pads even more function. 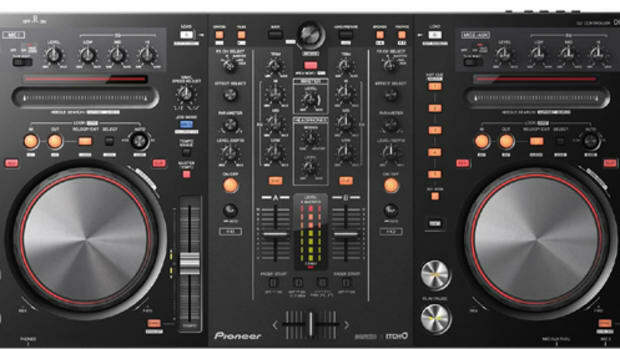 The Pioneer DDJ-SR is essentially a trimmed down two-deck version of the DDJ-SX which controls four decks of Serato DJ. The new DDJ-SR has a smaller footprint than the DDJ-SX and adds a new PAD PLUS button that gives the 16-performance pads even more functions than before. Even though only two channels are present, the controller is layered so four decks of software control is still possible. The full video and written reviews are on the way, but peep our unboxing video to see the DDJ-SR fresh out of the box. Pioneer DJ has recently released a brand new beginner-level Digital DJ controller for their Serato lineup called the DDJ-SB. This new compact and USB-Powered controller has the familiar 16 Performance Pads layout, Slip-Mode, built-in Low Pass/High Pass filter knobs, and comes bundled with Serato DJ Intro for the excellent street price of only $300. We're currently working on the DDJ-SR review, so the DDJ-SB review will just have to wait in line. In the meantime, Pioneer has just released a slew of new tutorial videos to get owners started off on the right path. 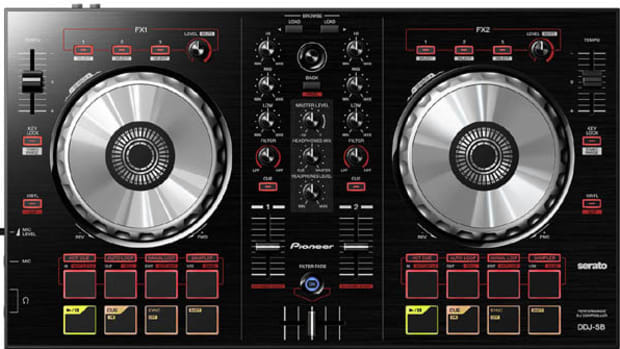 The new Pioneer DDJ-SZ flagship DJ controller is now Virtual DJ compatible... We recently reviewed the Pioneer DDJ-SZ using Serato DJ and had great results. The DDJ-SZ will now ship with a full version copy of Virtual DJ and the full Serato DJ software so that DJ's can choose exactly how they want to use the super sized device. Virtual DJ has just released a new video performance to show what its powerful software can do with a powerful controller. Pioneer DJ has recently released a brand new entry-level Digital DJ controller for their Serato DJ lineup called the DDJ-SB. This new compact and USB-Powered controller has the familiar 16 Performance Pad layout, Slip-Mode, built-in Low Pass/High Pass filter knobs, and comes bundled with Serato DJ Intro for the excellent street price of only $300. Our unboxing and first impressions video follows.